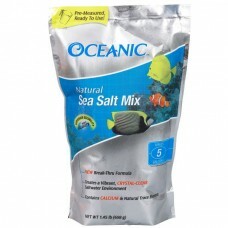 Great care has been taken in the selection of the ALL NATURAL ingredients found in our Sea Salt Mix ensuring the absence of nitrates, phosphates and ammonia. Our special PATENT PENDING manufacturing process generates a MICRO-CRYSTAL that, when mixed with water, dissolves almost instantly. 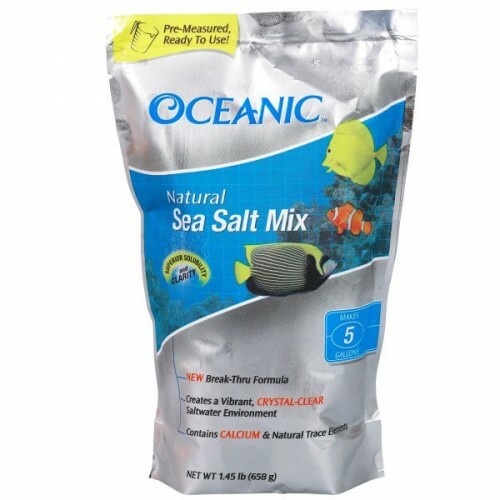 The combination of natural elements, high-grade materials and MICRO-CRYSTALS guarantees a solid foundation for your successful marine aquarium. Oceanic realizes the importance of a QUALITY PRODUCT. That is one reason every batch of Oceanic Natural Sea Salt Mix is triple tested for quality and verified by an independent testing lab.